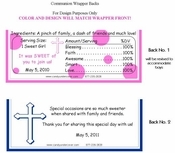 Beautiful Cross and Bible First Communion Candy Bar Wrappers. 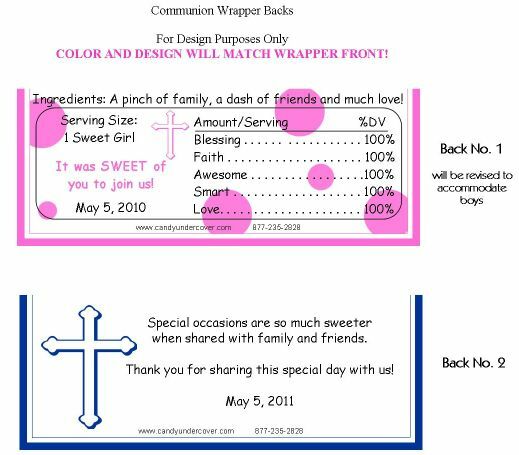 A cross with pink draping flowers along with the Holy Bible makes this Communion Chocolate Wrapper perfect for your special day. Personalized with your child's name and date of Communion. These Communion Favors will stay in their memories almost as much as the day itself.